From endings come new beginnings! For the last three years I have been part of a quilting bee. 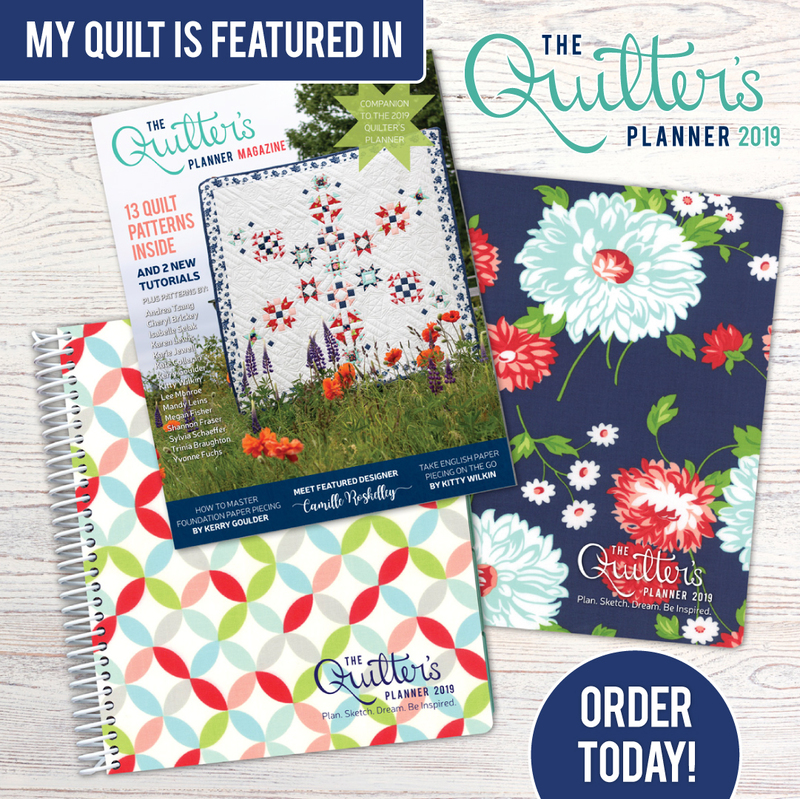 A quilting bee of 13 ladies from all over the USA (and now Ireland) who quilt for each other every month and share a love of quilting & sewing. We have gotten to know each other over the distance and some have managed to meet in person. As 2017 ended, we decided to disband our hive. We have managed to stay in touch and share our sewing adventures. My bucket list includes meeting all of them in person. July was my month to choose a block. I sent the background fabric to all my hivemates and in return I asked them to send me the Alpine block. 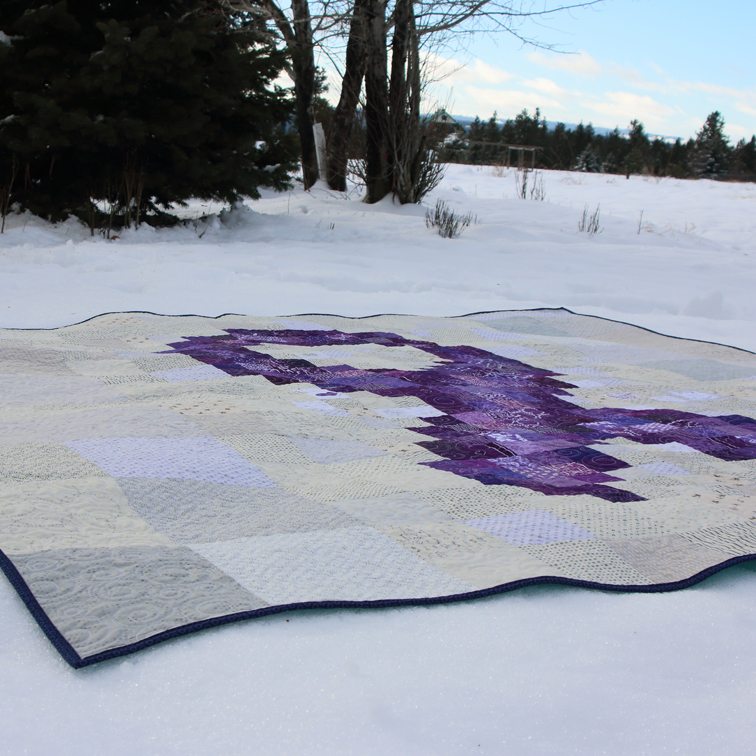 I also requested any violet scraps in 2 1/2 inch squares to be sent with the blocks. 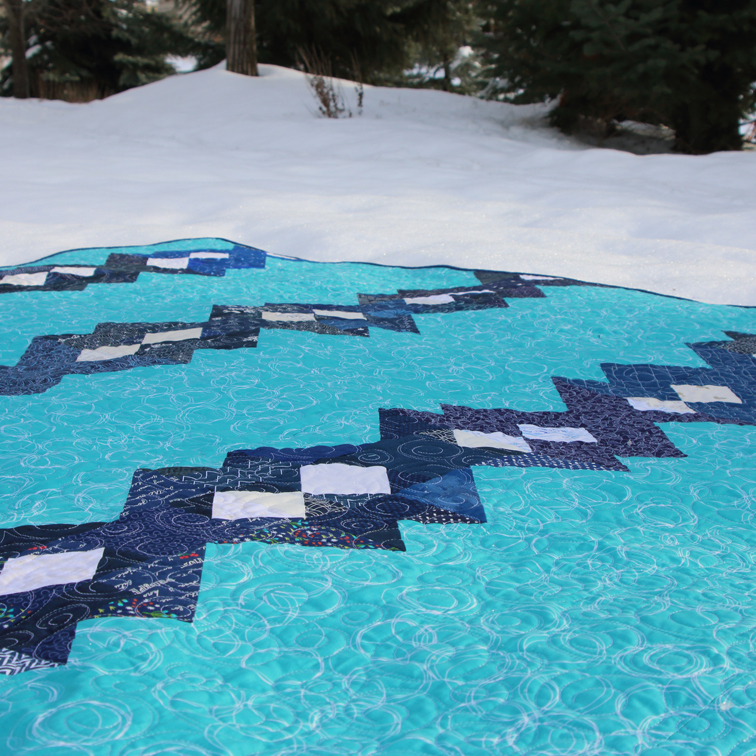 I was on a mission to make a full size quilt for my cousin Jessica. Jessica is an amazing young lady! At 15 she was diagnosed with Hodgkin Lymphoma and began her first fight for remission. She got there. She came to visit me in Hawaii with her sister and we had so much fun. I promised to make her a quilt during that visit over 2 years ago. After living a nomadic life for a year and buying a house I finally finished that quilt and sent it to her this week. 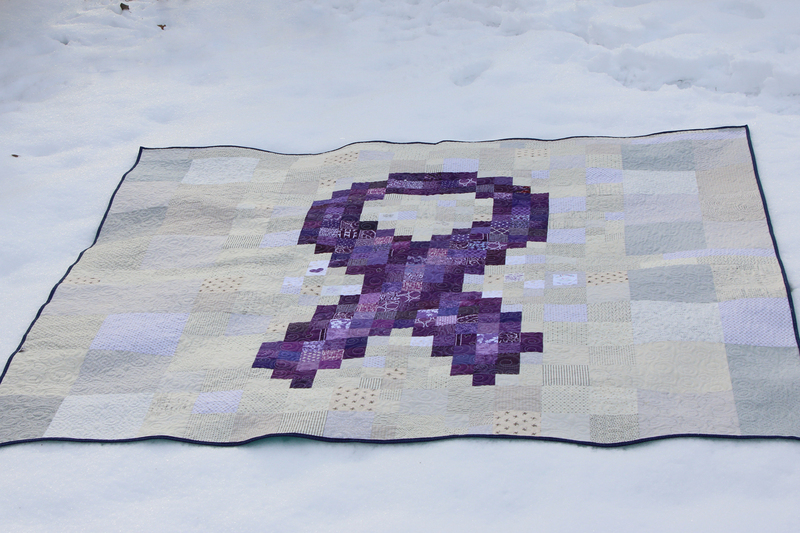 During the time I was making this quilt, Jessica was fighting for the 2nd time to beat Hodgkin Lymphoma. At the end of 2017 she beat the disease, again!! She will turn 18 soon, and I am so happy I finally was able to get this quilt finished and sent to her. I asked my hivemates to create a block for the back with a message to sew into the quilt. 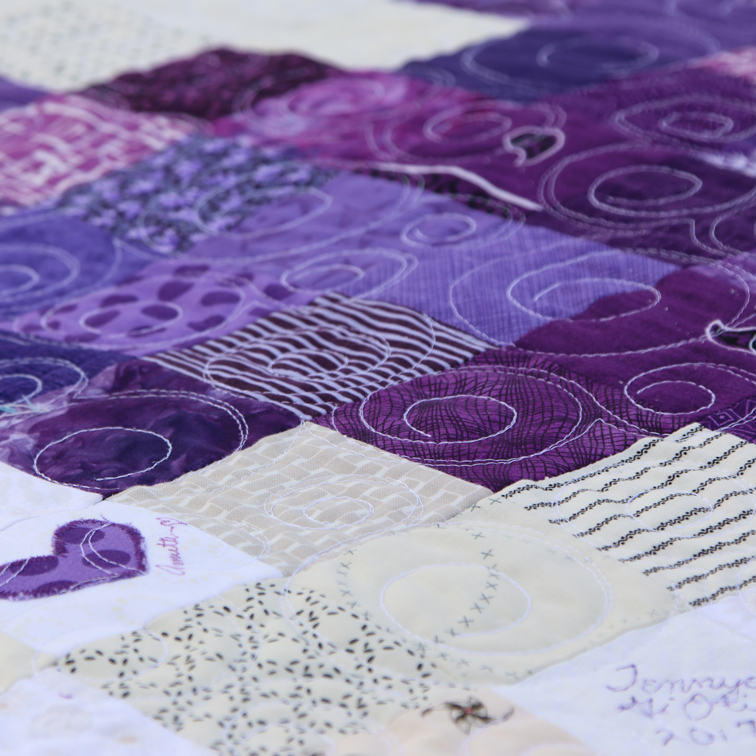 A lot of love is stitched in this quilt. A pixelated violet ribbon is centered in the back using the fabric scraps sent by my hivemates. 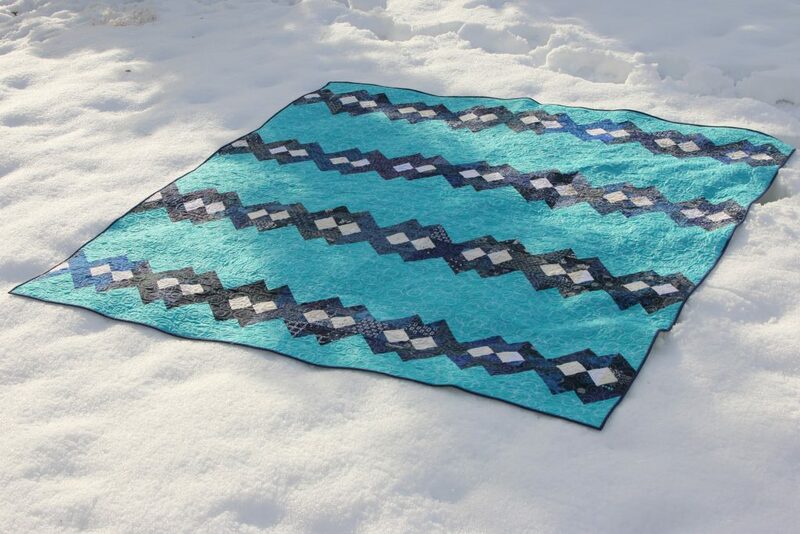 The pixel blocks start small in the center and double in size as they reach the outside edge of the quilt. 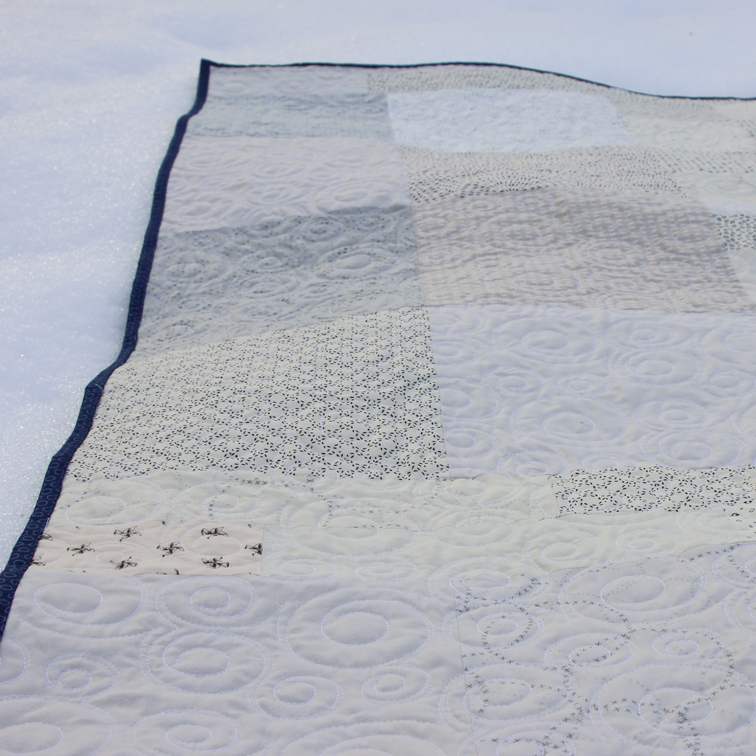 Quilted using Twirls for fluid movement and quilty crinkle. Endings make way for new beginnings. A new lease on life. A new adventure. A new project. So at the start of 2018, I wish new beginnings for all of you. 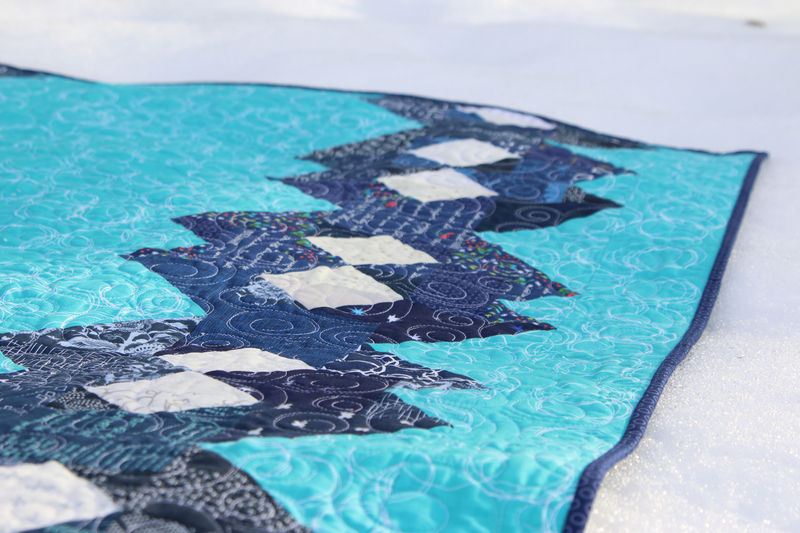 Trinaia – That is an amazing quilt journey. More amazing is Jessica’s resilience and her story. We will say prayers for her and keep her in our hearts. And I know that when I see purple, your favorite color, and my second favorite color, I will think of her.